Here at Honig Orthodontics in Newark and Middletown DE, we know that orthodontics may seem a bit daunting to understand for many but with the 2015-16 school season closing in, now is the best time to learn what some call the “ABC’s of Orthodontics.” Simply put, “A” is for age, “B” is for braces types, and “C” is cost and/or choice . Using this approach makes dealing with orthodontics a whole lot easier. Age is an important factor when it comes to orthodontics for children. Orthodontists usually agree that it is best to wait until a child has all of his or her permanent teeth before implementing any kind of orthodontic procedures. 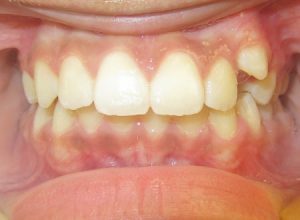 Furthermore, an evaluation of a child’s teeth by age 7 can prevent problems in the future. Some of these problems can prove to be more difficult to resolve as a child grows older. Orthodontic evaluations are usually complimentary and do not require any kind of referral from a dentist. It’s best to have an evaluation during the summer time so that if braces are required the initial process will not interfere with their schooling. When it comes to braces, a lot has changed over the years. Orthodontic techniques and the equipment used has been vastly improved compared to the older styles that most adults who had braces as kids are familiar with. Today’s orthodontists are more educated and are better trained than they were years ago. This training and education is exemplified in the orthodontic procedures practiced and the communication with their patients, not only explaining how a treatment will work but also why it will work. In other words, which treatment is best for their patient based on their unique and individual needs. There are more choices than ever before for patients at any age. It is a mistake to think braces are just for kids. About half of all new patients that undergo orthodontic treatment are, in fact, adults. Finally, there is the issue of the “C” in the ABCs of Orthodontics: cost. It’s practically impossible to get a fixed price for any type of orthodontic treatment as the cost depends a great deal on the treatment needed, which is dependent on the unique needs of each and every patient seeking orthodontic care. Luckily, interest free payment plans are the norm when it comes to orthodontic practices’ billing procedures. There are also “health savings accounts.” A health savings account is a way to provide funding for treatment before taxes. There are also loans that can be taken out with manageable repayment plans, specifically for orthodontics. Most accredited orthodontic practices will have an in-house insurance specialist that can answer any questions that should arise about payment options, insurance inquiries, and even help with any paperwork that needs to be filled out. Cost should not prevent someone from attaining a perfect smile which can benefit their life in a multitude of ways like improving self-confidence and mental well-being. “C” can also stand for choice. There are more orthodontic options than ever before including, ceramic braces, Invisalign and traditional braces. Contact Honig Orthodontics to learn more or to schedule a complimentary initial exam. We look forward to you getting the smile you deserve.